I get the impression, travelling around the world, that most mineral processors are at least aware of the MEI blog even though they may only visit it irregularly. As the blog is very much about people, I thought it might be a good forum for catching up with people that you worked or associated with in the past and often wondered where they are now and what they are doing. If you have somone you would like to catch up with, just leave a comment on this posting, and hopefully someone will see it and respond. I will start the ball rolling with the first request for info, and every few months I will highlight the posting to keep it active. Good to hear from Dr. Norman Lotter, a member of the Minerals Engineering Editorial Board, and a familiar face at MEI Conferences, particularly flotation and process mineralogy. 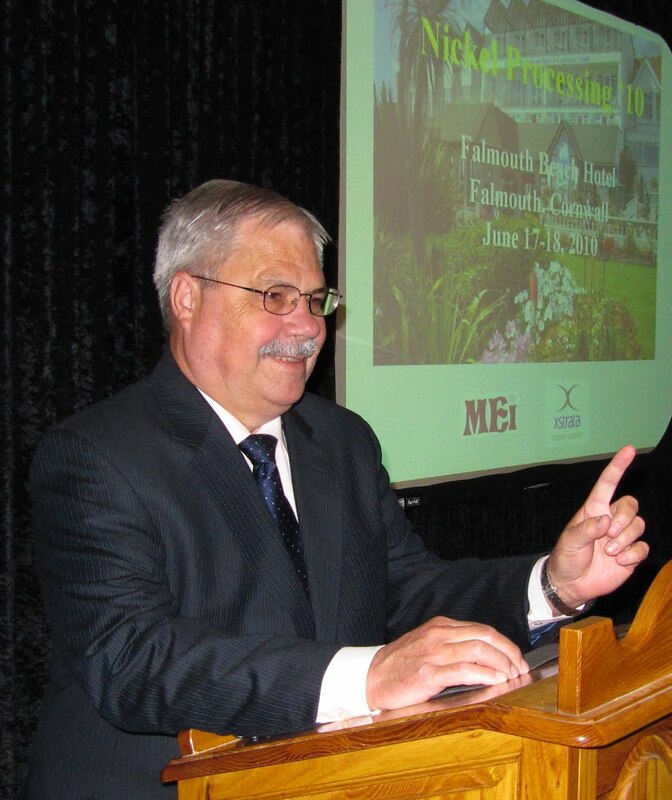 He was also a consultant to MEI's Nickel Processing '10 in Falmouth. Now retired from Glencore, where he worked as Consulting Metallurgist at XPS Consulting & Testwork Services, Norman started up his own consulting company in January 2016, called Flowsheets Metallurgical Consulting Incorporated, based in Sudbury, North Ontario. He has also been appointed Adjunct Professor by the Bharti School of Engineering, Laurentian University, Sudbury, where he has been asked to prepare and present a new course on Flowsheet Development for the postgraduate school. In this course, he would like to assemble an integrated platform of modern best practice of flowsheet development. 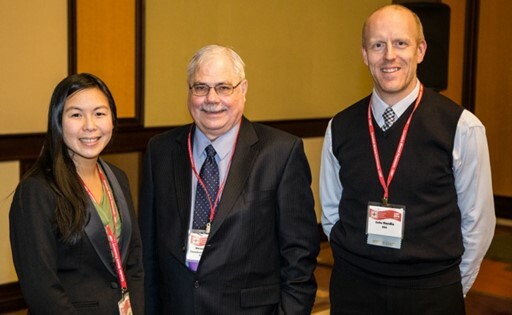 Norman attended this month's national meeting of the Canadian Mineral Processors in Ottawa. He reports that the conference was well attended with 487 delegates present, and the standard of the 40 papers presented was impressive, with discussion at question time being, as usual, lively and constructive. He presented a paper at the meeting entitled “Flotation of the Major Copper Sulphides – an Electrochemical Perspective”, an update on the paper presented by one of his co-authors, Prof Dee Bradshaw of the University of Cape Town, at Flotation '15. The paper was presented during the session entitled “Flotation Fundamentals”, co-chaired by Stéfanie Vo, of Hatch and Colin Hardie, of BBA. The outcome of this paper is another example of the synergy that develops when different disciplines work together. MEI wish Dr. Lotter every success in his new endeavour. African Mining Indaba '16 starts two weeks today in Cape Town. It will be interesting to hear the views of financiers and other pundits on how the industry might perform this year. Many have certainly got it wrong in the past (posting of 4th January). SRK Consulting, regular contributors to MEI Conferences, is a leader in natural resource and development solutions, providing independent technical advice and services through over 50 offices in 22 countries, on six continents. The South African office will be exhibiting at Indaba, and have kindly invited me to their cocktail function two weeks tomorrow. Dixon’s comments coincide with a recent report from leading management consultancy McKinsey & Company, who argue that declining ore quality and the limited accessibility of new deposits will squeeze mineral supply between now and 2020, potentially driving a commodity-price rebound as global demand continues to rise. “The commodities likely to be the most severely affected by ore quality decline are copper, gold and phosphate rock,” according to McKinsey. This forecast would support Dixon’s point that, while the commodity cycle is in a general downturn, there are many commodities which could see a change in fortunes in the not-too-distant future – catching many companies ill-prepared. “There is not enough time to bring a medium-sized mine on-stream and still benefit optimally from a buoyant market,” said Dixon. Starting a modest mine – even after establishing the existence of a payable orebody – could take five years or more, with all the technical studies and regulatory authorisations that must be completed. He said South Africa’s mining sector missed out on the last commodity boom due to minerals policy uncertainty and to companies’ reticence to commit to projects early enough. "Waiting until the recovery is on the doorstep has the danger of placing undue time pressure on the process of planning and building a mine", said Dixon. Indeed, the reasons for low returns on capital witnessed in the sector include the purchasing of assets in a rising-price environment and the attempting to accelerate projects to take advantage of price-cycle peaks. This is exacerbated by the limited availability of competent project staff, as well as the higher turnover of staff, experienced at these times. Neither will it be business as usual. There are growing risks to mining projects – from tightening environmental regulations to more mobilised communities – which could frequently lengthen lead-times and complicate the planning process, according to SRK principal consultant Andrew van Zyl. Leveraging technology will be imperative – not just to make mining more efficient but to reduce pollution, conserve water and generate electricity sustainably in remote locations. "Mines today are called upon to observe the highest levels of regulatory compliance and technical performance", he said, "but at the same time they must build robust relationships with stakeholders so they can maintain their social licence to operate – as this has become the most fundamental risk to mining everywhere". I look forward to hearing more from SRK and others in Cape Town next month. Around 20 hardy souls braved the atrocious weather last night for the first Cornish Mining Sundowner of the year, at the County Arms pub in Truro. Congregating around the bar were six mineral processors. My ex-CSM colleague, and Cornish mining historian Tony Clarke was with Pete Walsh and Dave Dew, who graduated from CSM in 1979. Dave will be playing a big part in Biohydromet '16 in June, as the first keynote speaker. CSM's Paul Norris will also be presenting work, on high temperature bioleaching, at the conference. And Nick Wilshaw, of Grinding Solutions Ltd, will be at Comminution '16 in April as a sponsor. The next Cornish Mining Sundowner will be held at the University of Exeter in Cornwall's Tremough Campus in Penryn on Tuesday 16th February. If you are in the area it would be great to see you. There is a lot of bad science around. A recent report by the Nuffield Council on Bioethics showed evidence of scientists increasingly “employing less rigorous research methods” in response to funding pressures. A 2009 survey found almost 2% of scientists admitting that they have fabricated results; 14% say that their colleagues have done so. This is how I opened the posting 12 months ago and it would appear that things are getting worse rather than better. A recent report in The Times (January 5th 2016) suggests that public trust in science has become seriously undermined by work of poor quality, particularly in biomedical research. Editors of the journal PLOS Biology said that their discipline has a credibility crisis after several studies cast doubt on much publicly funded research. They concluded that there is an urgent need to improve the standards of research practice. In an earlier article in The Times (December 4th 2015), scientific journals, universities and research institutes, funding bodies and scientists were accused of colluding in malpractice or misconduct by refusing to amend or retract research in which errors emerged. As many as 1 in 20 papers on biomedical science were said to contain errors or falsifications. This is particularly worrying as peer-reviewed journals are meant to subject papers to scrutiny by experts and refuse to publish them if they fail to meet an expected threshold of scientific rigour. The report suggested that only a small proportion of biomedical research papers were subjected to genuine scrutiny before publication and concluded that the peer-review process was "clearly not fit for purpose". Whether it is or not is something I do not want to rake up again, as the efficacy of peer-review was discussed at length on the blog in March 2011, the general consensus being that although the system is flawed in many respects, it is the best method that we have at present for assessing the merits of research. I have no intention of trying to reform the process, I will leave that to the next generation. Fraud and bad practice is not limited to biomedical research of course, and I have been involved with many cases of plagiarism and other unethical practices while in charge of Minerals Engineering. The publish or perish mentality prevails in ours, as well as other areas of science and technology. Fortunately in our relatively small field these are fairly easy to spot, and the miscreants dealt with, ensuring that they do not have further dealings with the journal or any other Elsevier journals. But by far the biggest worry is bad practice due to ignorance of the proper way to collect and analyse data in mineral processing experiments, from simple lab tests up to full blown plant trials and the analysis of production data. How do we deal with this? We are not talking about fraud here, but a lack of knowledge of the scientific method, by researchers and their supervisors, and also it has to be said, by members of the peer-review process, as papers with poor experimental design do slip through the net, finding their way into Minerals Engineering as well as other leading journals. Education is obviously the key and fortunately we have on the Minerals Engineering Editorial Board a person who has crusaded for better practice in the statistical design of testwork. Prof. Tim Napier-Munn travels the world preaching his gospel via his short courses, and I would highly recommend that all mineral processors at least take a look at the short and highly readable article that he recently wrote for the AusIMM. 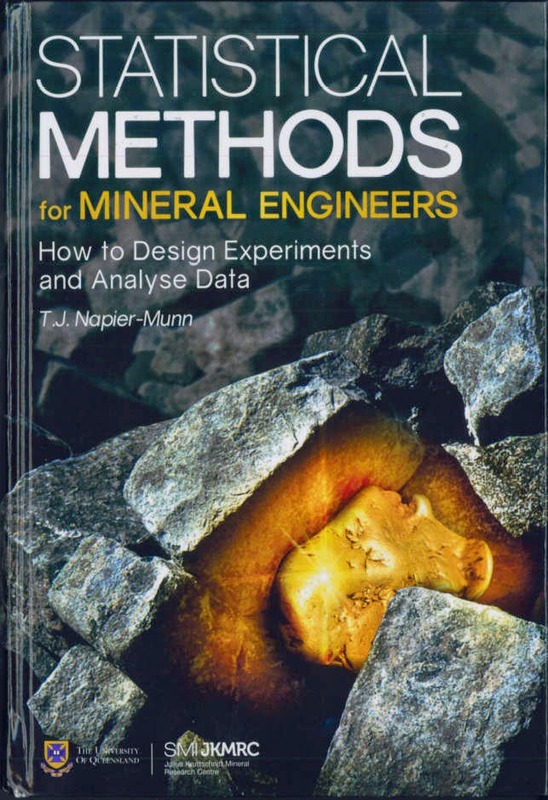 The message in this article should be one that is etched into the minds of all final year undergraduates and I further suggest that Tim's excellent book Statistical Methods for Minerals Engineers should be required reading for all young researchers (and their supervisors) embarking on programmes of research involving experimentation. I will be advising all Minerals Engineering reviewers to be vigilant, on the look-out not only for fraud, which leads to blacklisting, but also poor experimental design, which should lead to article rejection. I also ask for your comments, suggestions and any advice that you can offer to try to ensure that mineral processing is one area of research which does not fall prey to the criticism publicly heaped on the biomedical sector. 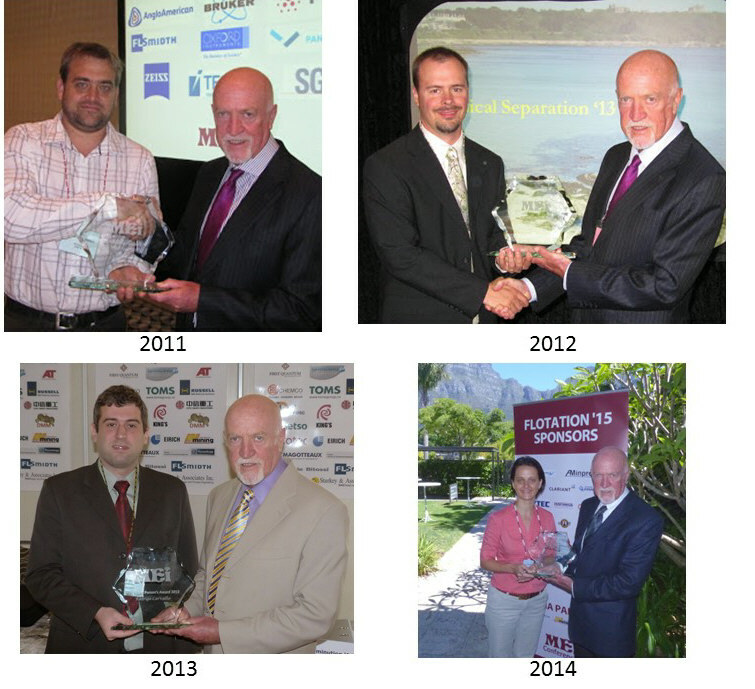 Who will be MEI's Young Person of 2015? Do you know of a young person who has made an outstanding contribution to minerals engineering in 2015? If so, he or she might join the 4 previous winners of this award, Peter Amelunxen of Chile (2011), Randall Zahn of USA (2012), Rodrigo Carvalho of Brazil (2013) and Elizabeth Whiteman of Canada (2014). Nominations for persons under 35 years of age at December 31st 2015, should be submitted by email to bwills@min-eng.com by 5th February 2016 and the name of the recipient will be announced at the end of that month. Nominations should include the name, age and affiliation of the nominee, and reasons for the nomination. The recipient will receive an engraved award and a complimentary registration to any MEI Conference in 2016, where the presentation will be made. Young people are the life-blood of our industry, and the Award is just one of the ways that MEI is committed to encouraging and supporting outstanding young people. We are therefore pleased to announce the appointment of Prof. Dee Bradshaw, of the University of Cape Town, as our "Living Gold" Ambassador. Dee coined the phrase Living Gold when her passion for nurturing and developing graduate students at the University of Queensland was recognised with an award from the university in 2013 for excellence in post graduate supervision. Her role will be to represent and work with MEI to develop innovative ways to boost research capacity and career development and to encourage and prepare young people for participation in MEI conferences. Dee has been actively involved with MEI for many years, being one of our first consultants - for Flotation '07. She has especially sought to encourage people, young and old, who have not previously presented their research, to do so. This passion for the concept of ‘Living Gold’ she applies to the development of talent in people. Dee notes that just as the ores we work on all require different treatment, so each student has a unique combination of abilities, gifts and talents each requiring different resources to succeed and excel. We encourage you to share your views by submitting your comments on blog postings. Last month there were over 16,000 page views, so interacting with the blog enhances your international presence by providing you, and your company or Institute, with valuable exposure. 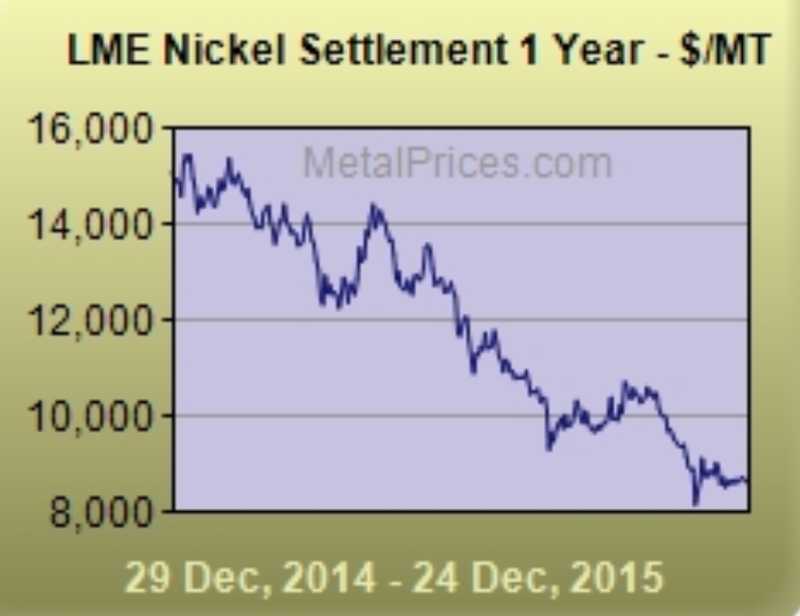 This time last year (posting of January 1st 2015) I looked forward to the year ahead with optimism, after a year where all metal prices had suffered to some degree, but knowing from past experiences that the fortunes of the industry are cyclic. Unfortunately my optimism was ill-founded as what lay ahead was one of the worst years that I can remember for the mining industry, with metal prices sinking to all-time lows, mines being forced to shut down and many jobs being lost around the world, Anglo American alone cutting a massive 98,000 of its workforce. Much of these cuts will affect the already beleaguered South African mining industry, and it will be interesting to gauge the atmosphere in next month's African Mining Indaba in Cape Town, the world's largest mining investment conference. One of the keynote speakers will be international financier Robert M. Friedland, founder, chairman and President of Ivanhoe Mines Ltd, Canada. Delegates will be hanging on to his every word as they did at Indaba 2004 where he stressed that China was driving the world's economy, being the world's largest producer of steel, despite being a net importer! Its insatiable demand for copper, nickel, platinum, gold and other metals was, according to Mr. Friedland, creating an unprecedented growth in the minerals industry, which should last for decades. "This is not just a bubble, but a reality!" he said. 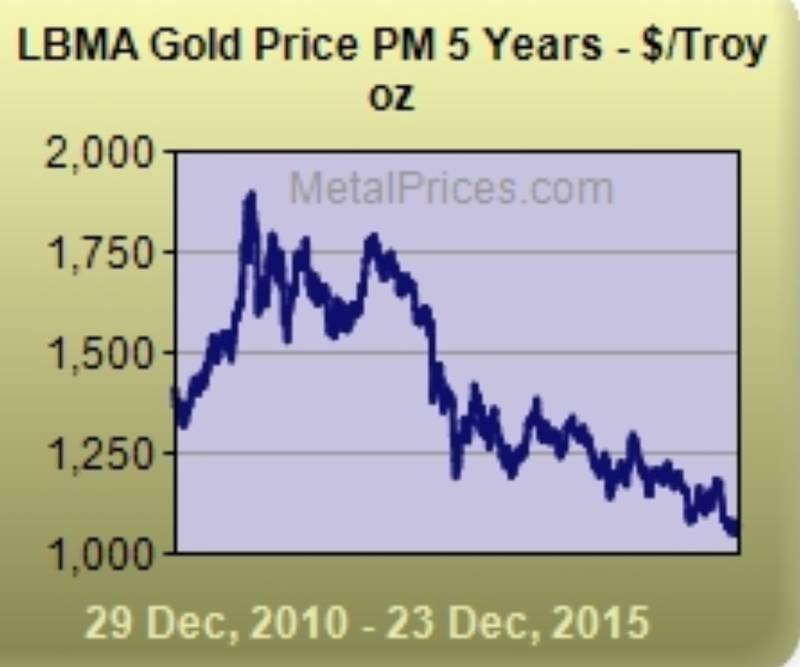 Well less than a decade later the bubble did burst, the Chinese economy slowed, causing a glut of metals on the world's markets due to existing mines ramping up their production and new mines coming on-stream to take advantage of the good times ahead. Mike Battersby of Maelgwyn Minerals attended Indaba 2011 shortly before the downturn and noted in his blog "The 2011 Indaba was one of the biggest with over 5000 registered delegates. As for outcomes; you couldn’t fail to notice the huge potential for new gold and iron ore operations in West Africa. 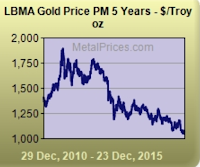 From the economists what we could gather was that high metals prices were here for the foreseeable future. One Keynote Address we attended given by James Turk of GoldMoney claimed that gold was again going to be the standard that all currency was based on (without government’s ability to just print more) and that gold would be USD8000/oz in the near future. I had to check with others that I heard that number correctly! He had all the historical charts and figures to back up his predictions. Now that would be an interesting price. I think we will be out mining for gold in Wales again". I'm pleased that you didn't Mike, as the table right shows the real story. More recently at last year's Nickel Processing '15 in May, Andrew Mitchell of Wood Mackenzie, UK, set the scene by looking at the future of nickel production, particularly in relation to the outlook for nickel sulphide and laterite resource development. 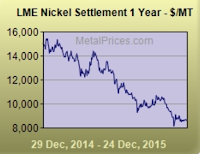 He forecast that nickel stocks should move into deficit by the end of the year, pushing prices higher. The reality is shown left. I suppose the moral is never try to predict. Even the experts get it wrong and we can only hope that metal prices recover this year (as many analysts are already predicting!). Interestingly with all the talk of falling metal prices, there have been few mentions of the falling oil price and its effect on the mining industry. It is well know that mining is one of the most energy intensive industries, so it would be good to hear from operators on how the collapse of the oil price has offset falling metal prices in terms of production costs. Anyway, enough of gloom. There are some interesting events to look forward to this year, and the recession seems to have had little effect on attendance at quality conferences- maybe the need to network is more urgent during times of need? Next month I will be at two huge conferences, Indaba in Cape Town and the SME Annual Meeting in Phoenix, always well attended as they are great meeting places. Then in April Comminution '16 in Cape Town is the first in the 2016-17 series of MEI Conferences. The big event for mineral processing this year is the IMPC in Quebec City in September, for which MEI is a media partner, and we will be there in force, and will also be in attendance at other major events during the year. So a lot to look forward to this year, and on behalf of all of us at MEI have a great 2016, with fingers crossed rather than trying to predict what may be.